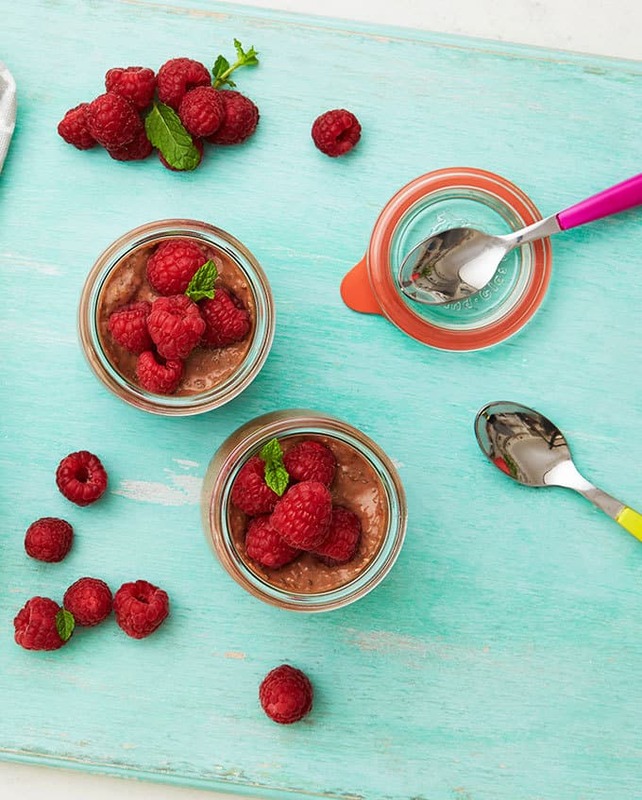 A fresh and fruity Chocolate Chia Seed Pudding bursting with raspberry flavours. If you read my post last week, or have been watching my bullet journal antics, you’ll know I’ve been trying to find ways to simplify life a bit. Little shortcuts to help me gain back some time here and there and keep up with busy family life. I was so excited when Optiwell got in touch and asked me to work with them as their product totally fits into this mindset. Optiwell is a blend of fruit juices and fat free yoghurt, it’s high in protein, low in fat and super easy to enjoy on the go. It has no added sugar and is just 64 calories a glass. Hurrah! The children and I have a glass in the afternoon when they come home from kindergarten, it’s our new favourite afternoon snack. It gives them a calcium boost and helps to keeps them going until dinner time. For me, it’s a quick, easy pick me up to keep me full and stop me snacking. I’ve also been testing out using Optiwell in various recipes, here’s the first I’ll be sharing on the blog with you. 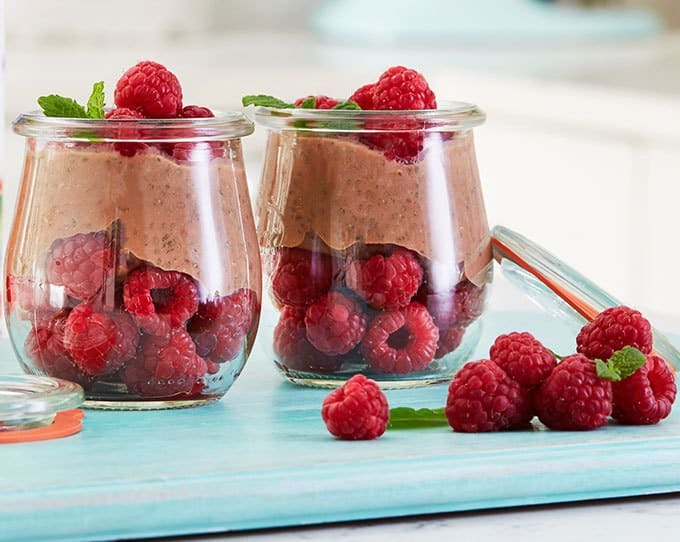 It’s a quick, nutritious and delicious Chocolate Chia Seed Pudding with Raspberries. This nifty little dish feels like a treat but is secretly packed with loads of good stuff. Chia seeds are a total superfood, containing heaps of fibre and Omega 3s. Meanwhile, Optiwell adds in fruity flavour and a protein and calcium boost and the raspberries add a portion of fruit to the meal. 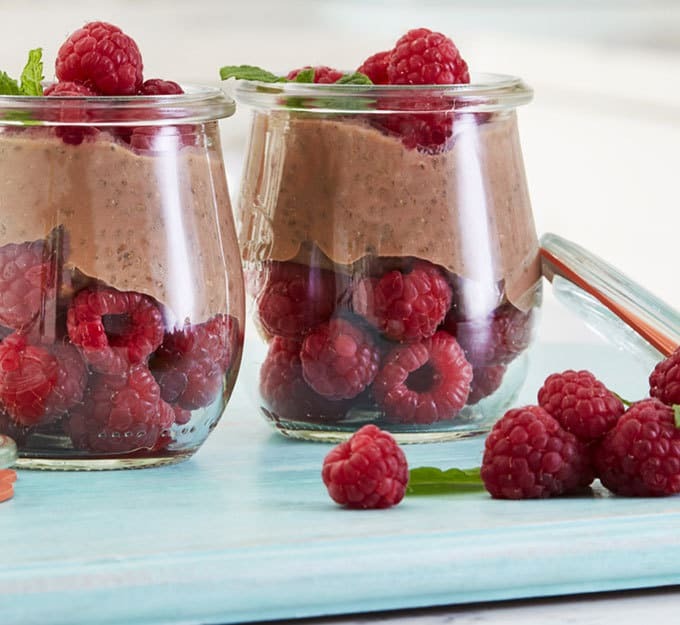 This Chocolate Chia Seed Pudding is perfect for an afternoon snack or breakfast. Chocolate for breakfast? Don’t mind if I do.. Mix the Optiwell, chia seeds and cocoa powder in a bowl. Put in the fridge, covered, overnight or for at least 6 hours. Remove from the fridge and blend until smooth. 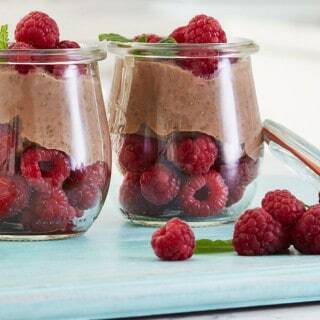 Put the raspberries in the bottom of 2 small serving dishes or ramekins and spoon the pudding on top. You can find more from Optiwell, including tips and life hacks on their Facebook page here: Optiwell on Facebook. If you’d like to give Optiwell a try, you can find it in the long life aisle at Tesco, online at Ocado and various other shops (find the current list of stockists here: Optiwell stockists.) Let me know how you get on! Pin the Chocolate Chia Seed Pudding recipe for later..
Disclosure: This post was commissioned by Optiwell, however, as always, all opinions are truthful and I would never endorse a product I don’t genuinely love! Yum! I love chia seeds but haven’t tried them in a chocolatey dessert yet. They’ve started selling them in my local home and bargains too. This would be great for slimming world!